Amos 8:11 "Behold, the days come, saith the LORD GOD, that I will send a famine in the land, not a famine of bread, nor a thirst for water, but of hearing the words of the LORD:"
The famine is going on now. It's not a physical one for food but a spiritual one for the Word of GOD. Thirst for the Living Water and hunger for the Bread of Life, Jesus CHRIST. Men will wander, or stagger, intoxicated from the cup of devils, with satan's false doctrines and hypocrisies. 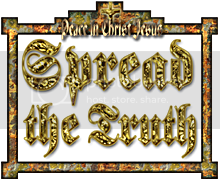 They will not find truth, because Truth isn't a respecter of persons. For GOD has chosen the foolish things of the world to confound the wise, and the weak things of the world to confound the things which are mighty (1 Cor 1:27). Mark 13:8 "For nation shall rise against nation, and kingdom against kingdom: and there shall be earthquakes in divers places, and there shall be famines and troubles: these are the beginnings of sorrows." Verse by verse studies of our FATHER's WORD are available today at the touch of a finger, yet troubles, hunger signals and famines are increasing in the world. These sorrows are the birth pangs occurring in this final generation. However, the truth is always available for the asking, so there's no lack of knowledge for those who truly seek Christ. If you continue to play church, following the precepts of men, the true knowledge from GOD's WORD will not pass onto your children. Keep turning to the wrong shepherds, who feed their flocks with opiate-laced renditions of the Bible, and your children will understand nothing but fables and the doctrines of devils. Claiming ignorance is no longer a valid excuse in this final generation, because ignorance has turned into the ignoring of truth. Of course, this logic applies only to those who live in developed nations, and who also do not lack literacy and digital literacy skills. The understanding of truth is available, even in the palm of your hand, as long as you turn to GOD and seek Him for it as for hidden treasures. Literacy, print and internet are widely available in advanced countries. There are Bibles in just about every hotel room in America. Amos 8:14 "They that swear by the sin of Samaria, and say, Thy god, O Dan, liveth; and, The manner of Beersheba liveth; even they shall fall, and never rise up again." Dan and Beersheba were two places where golden calves were set up (1 Kings 12:28). Today, men swear by the wall street bull, or money. "Manner" means their mode, or course, of worship. All earthly systems, forms and religions of men will fail you. Truth isn't served on the fabricated tables of men and devils. Instead of partaking from the LORD's table and drinking from the cup of the LORD, the world will turn to a carnal savior, a substitute and counterfeit, offering temporal things and a different gospel. Denominationalism is division; a house divided within itself will not stand (Mark 3:25). It's when men follow the doctrines of other men, instead of GOD's precepts, that divisions occur. Teaching under the banner, or doctrines, of a demonination is sticking to a system of men. Those who are respecters of persons believe the words of men, and their systems, over GOD'S WORD. They're the same people who are destroyed for lack of knowledge. The spiritually blind lead the spiritually blind. With their narrow minds dialed in on respect of persons, they bring the book to "one that is learned", with religious credentials from men, but he cannot understand it. Then they take the book to another, e.g. a wealthy man of stature or an educator. He cannot understand it, either, because he's void of true knowledge. The worldly believers turn to the wrong shepherds and leaders to feed them the WORD. Truth has an origin. Therefore, all beliefs, values and doctrines contrary to Truth produce double-mindedness. Nature and common sense make it very easy to distinguish between right and wrong. Mix right and wrong together in one package and the product is double-mindedness. A double-minded individual is unstable (James 1:8) and cannot see clearly, because he holds multiple contrary beliefs, in his mind, simultaneously. Ask yourself, have you been eating from the LORD's Table? Eat from the LORD'S Table and partake of the unleavened Bread of Life. Amos 8:13 "In that day shall the fair virgins and young men faint for thirst." The foolish virgins are without oil, or truth, in their lamps. They went out seeking to purchase truth, but truth cannot be bought. The young men are hungry and thirsty, despite feasting and drinking all day and night. Why? They were binging from the table and cup of devils. Psalms 22:26 "The meek shall eat and be satisfied: they shall praise the LORD that seek Him: your heart shall live for ever." The humble and patient before ALMIGHTY GOD, and those that have been persecuted for Christ's sake, shall have eternal life and praise the LORD. They will take a stand for Him. You can't take a stand without a foundation built on the Rock. It starts with building your spiritual health by learning our FATHER's Word and promises. Many people have trouble enough staying focused and dialed-in on physical health, let alone spiritual health. While you remember to feed your physical body everyday, don't neglect feeding your spirit. Emptiness in your heart cannot be filled with worldly pursuits or by the doctrines of men. Your spirit will wither and die of starvation without the Living WORD. Your body is like a furnace, so you need to keep it burning with the right foods. You cannot defeat hunger by fighting it, because hunger will eventually win. You maintain healthy body fat levels (long-term) by feeding your hunger. That means you feed it properly, with the right foods and adequate nutrition. When you feed your body with the optimal balance of fiber, protein, fats, carbohydrates, etc, your body will stop feeling hungry. To lose body fat, you do the same, just with a little less food. It only takes several calories a day to feed one pound of fat. GOD designed it that way as an efficient energy reserve. Therefore, you gain mastery over hunger by feeding it correctly on a daily basis. You gain mastery over your spiritual hunger through Jesus CHRIST, the Living WORD, by eating, and living by, every word that proceedeth out of the mouth of GOD. The precepts of men are prepackaged, processed doctrines that are void of nutrition, or truth. Many Christians are too lazy to study for themselves and turn to "convenience" spiritual foods, in the forms of organized religion and the doctrines of men. What they're essentially doing, is replacing the True WORD of GOD, CHRIST, with a subtitute, another gospel, another jesus. When you fast, you're spending time disciplining the mind and physical body. For a Christian, fasting is a discipline that helps you to differentiate between what's carnal and what's spiritual. It's a spiritual/mental/physical operation for subduing the flesh, and being humbled in the process. It's also a good detox for your body. Of course, if you have a medical condition, where fasting is dangerous for you, don't fast. But remember to always keep your spiritual stomach fuller than your physical one. Isaiah 58:6 "Is not this the fast that I have chosen? to loose the bands of wickedness, to undo the heavy burdens, and to let the oppressed go free, and that ye break every yoke?" You fast from the words of men and you eat the WORD of GOD. You unplug from satan's system and come out of indoctrination, and come into the Light, which is the True Light, that lighteth every man that cometh through the matrix. These are the simple truths that the world and 99% percent of churches won't teach you. Satan's world system is rigged and is set up to pull you away from GOD's WORD and your destiny. Be wise as a serpent, yet peaceful as a dove. Feed your hunger with the Living Word. 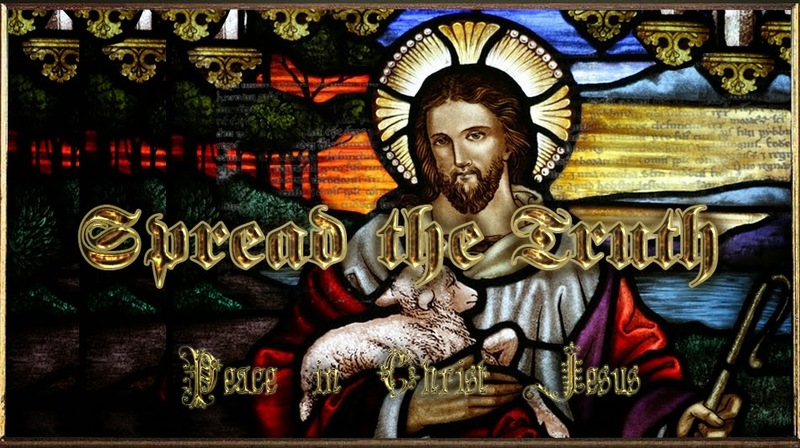 Isaiah 58:7 "Is it not to deal thy bread to the hungry, and that thou bring the poor that are cast out to thy house? when thou seest the naked, that thou cover him; and that thou hide not thyself from thine own flesh?" Feed your hunger with the Living WORD. Then you'll be armed and equipped to share the Bread of Life, Jesus Christ, with the spiritually poor and hungry. Sow the seeds of His truths in the minds of those that are outcasts, lost and feel forsaken. Christ didn't come for the self-righteous, He came for sinners, like us. You will help cover the spiritually naked by clothing them with the Gospel. Isaiah 58:8 "Then shall thy light break forth as the morning, and thine health shall spring forth speedily: and thy righteousness shall go before thee; the glory of the LORD shall be thy rereward."